Choosing an after-school activity for your girl can be tough. With so many options, how do you choose what's right for her? Girls like to have fun and experience new things with their friends, especially when they have a say in shaping their experiences. You know your girl best. She's special, unique, and has a wonderful spirit. So, why not give her a membership to an organization that will help her best self shine brightest? Girl Scouts builds girls of courage, confidence, and character, while giving them opportunities to explore new things, make lots of friends, and change the world - beginning with her own neighborhood. Start your girl's journey at gsneo.org/join! Girl Scouts is not just for girls, adults can join too! Consider being the troop leader that supports her every week—the one that watches her smile get bigger as she grows more confident. 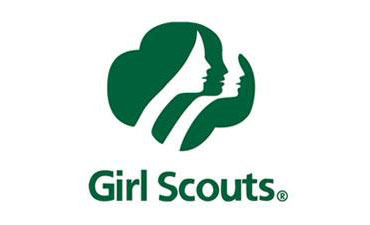 Mentor a Girl Scout troop during cookie season and help them reach their goals. Become a guest speaker and share your hobby or profession. Or work with other adults to provide the kind of behind-the-scenes support that makes it possible for Girl Scouts to make amazing new memories. Whether you can give a few hours, a few weeks, or a few months, volunteering with Girl Scouts is flexible and fun. Sign up at gsneo.org/volunteer. Want to hear more or be connected to a staff member? The Girl Scouts of Northeast Ohio Customer Care team is your friend when you’re in need. We’re ready to guide you along, solve problems, and answer your questions. Email customercare@gsneo.org, call 800-852-4474, or visit one of our service centers in Macedonia, North Canton, Lorain, or Youngstown.